Last Wednesday was the 66th birthday of a personal favorite of mine, Bruce Springsteen. I could go on and on about why I think he's so great, knowing I'd get a lot of heads nodding in agreement and just as many eyes sarcastically rolling - I understand how split people are about Bruce. It seems like everyone has an opinion, usually strongly held, that he is either a genius or a hack. I am obviously in the first camp. But enough of that - I thought what I'd do today instead is select what I feel are some of the most underrated songs in the Bruce catalog. 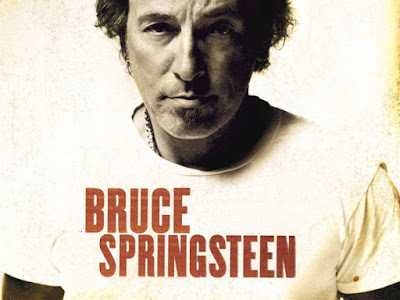 Springsteen found his distinctive voice on this, the fifth track on his second album. It's the best example in his early works of his ability to break down the distance between the performance and the listener. As he tells the story of Spanish Johnny and Puerto Rican Jane, it sounds like he's crawled out of your speakers and is in the room with you. It's an intimacy that's rarely experienced, and it's one of Springsteen's greatest gifts. Live versions close with an emotional and gorgeous guitar solo that reaches into your chest and rips out your heart. An outtake from the Darkness on the Edge of Town sessions, "Restless Nights" is the best portrayal of insomnia ever. The music, dominated by an other-worldly organ riff from Danny Federeci, haunting harmony vocals from Springsteen and Steven Van Zandt, and Springsteen's jittery, strung-out electric guitar is so atmospheric as to be hypnotic. The lyrics feature "whispering trees" and "dark rivers" and work perfectly with the music. Another Darkness on the Edge of Town outtake, "Loose Ends" features Springsteen's incredible ear as a songwriter. His ability to encapsulate all the rules of different genres into his own unique vision is what sets Springsteen apart from other songwriters. This is where the frequent comparisons to Bob Dylan fall flat and are mistaken - Springsteen was never the poet or innovator that Dylan is. What Springsteen can do so remarkably well as both songwriter and performer is move seamlessly between genres and styles. Springsteen's magnificent guitar solo is one of his best as the song conjures up a world of darkness and menace. Bruce plus horns equals magic. "Talk to Me" is another example of Springsteen's mastery of genre, a combination of Tin Pan Alley, wall of sound, frat rock, and blue-eyed soul. It opens with a simple little guitar and drum riff, the guitar is soon joined by piano, and then the horns kick in, and that moment is pure perfection. The hooks in the melody and the tightness of the rhythm section bring to mind the Memphis Stax Records sounds of Wilson Pickett or Otis Redding or Sam and Dave. Most of the many critics who dismiss Springsteen are reacting to the broad reach of his anthems, like "Born to Run," "Badlands," and "Born in the U.S.A." Taken out of the context of Springsteen's catalog, they find them to be jingoistic and bombastic exercises in promoting a false mythology. Only when considered within the context of his larger body of work, when the anthems are placed side to side with intimate ballads and poignant stories, does the astonishing range of Springsteen's vision become evident. "Drive All Night" and "Wreck on the Highway" close out the album The River. "Drive All Night" is an amazing love song, simultaneously epic and intimate, dark and romantic. Springsteen's vocal is pure and heartfelt and gut wrenching, and Clemons' sax solo is possibly his best (right up there with "Jungleland"). "Wreck on the Highway" closes out the album, and takes place in the same dark and rainy night that the singer of "Drive All Night" is trying to drive through. The narrator of the song is telling us about a crash he comes upon while driving on a cold and rainy night. He tries to get help for the "young man lying by the side of the road" even though he knows it's too late for help. to say "your baby died in a wreck on the highway." thinking about the wreck on the highway. Then a couple of drum beats are heard, and the song comes to an abrupt end, only to start again, with just the rainy dark sounds of acoustic guitar and piano fading into the void. the sounds echoin' all down Michigan Avenue. This is my all-time favorite love song, even though in the end the narrator's still alone, and it's unclear whether he'll ever reunite with the object of his love. The song begins with a guy driving alone in a "big, lazy car" at night on a "spooky old highway." He's scared and nervous, with "one hand steady on the wheel and one hand trembling " over his heart, which is "pounding like it's gonna bust right on through." He doesn't know what's driven him out there, other than "tonight I miss my baby, tonight I miss my home." It's clear that he's been apart from both for some time. The themes of love, death and loneliness continue in the closing verse, where the key word is "lonely." Whether the epiphany experienced by the dream is enough to resolve the differences that split the couple apart is left unresolved. This is testimony to Springsteen's artistic integrity; he prefers to leave the central question the song asks unanswered, rather than tie things up in a nice little bundle. Since the '70s, Springsteen has been a quiet and consistent advocate for Vietnam veterans. Vietnam and its impact on the psyche of the country has been a central theme not only in Springsteen's art but in his life as well, as he lost two close friends, including the drummer in his first band. The disproportionate cost of the war that was paid by the working class has informed the lens through which he views the world. "Brothers Under the Bridge" is a great example of the cinematic quality of Springsteen's story songs. It is obviously influenced by the work of the novelist Bobby Ann Mason. The song tells the story of a Vietnam veteran who's withdrawn to living with his "brothers" in the "dry brush" of the California hills, and the daughter who's been searching for him. The music fades and the song ends, again, unresolved, the only explanation that"something slips," and it's another example where saying nothing says everything. searching for my beautiful reward. Another of Springsteen's mini movies, this is, simply put, a GREAT song. The scenes we're given and the detailed visuals are amazingly vivid. The story, about a shoe salesman and the higher class woman who have a fling that goes terribly wrong, is complex and suspenseful. The Rising is an album inspired by 9/11 that chronicles the time immediately after, when the trauma was still fresh in our psyche. Songs like the title track "Empty Sky" and "You're Missing" deal with the loss and vulnerability that was felt. "Nothing Man" is often overlooked, and I can't understand why. To me, it's the best song on the album, and one of the best ten or so songs Springsteen's ever released. It's that last line, about the "unbelievable" sky, that really resonates. I remember watching the twin towers fall against a perfect blue and cloudless sky, and I remember looking up at the sky here in my Wisconsin home, and it was just as blue and cloudless. I remember that for the rest of the month of September it seemed as if the sky remained unchanged, blue and perfect and devoid of airplanes. The courage he is praying for is the ability to take the gun on his night table and end his own life. It's heartbreaking, especially when the lyrics are juxtaposed against a lovely melody, and the "doo--doo doo--doos" Springsteen sings in closing the song are pure and haunting. "All the Way Home" is a simple but effective little rocker that asks the question can romance and innocence survive heartbreak and cynicism? It's about a middle-aged guy trying to pick up a middle-aged woman at a bar, and hoping against all odds to recapture some small scrap of the innocence time has taken from them both. But in that desperation, in the longing for something long lost, there's dignity and heroism. It's the refusal to let past circumstances and future likelihoods destroy his longing. It's hope when all seems hopeless. This is another of Springsteen's recurring themes - the ability of good and simple people to hold on to their humanity against oppressive and corrosive forces of time and fate. Springsteen has been incredibly prolific in the 21st century, releasing no fewer than seven albums. My favorite of these is the 2007 release Magic, which I think compares favorably to his best albums from the seventies and eighties. Songs like "Girls in Their Summer Clothes" and "Long Walk Home" are instant Bruce classics. Right up there with them is "Gypsy Biker," a guitar and harmonica blues rocker about the tragic death of a solider in either Iraq or Afghanistan (he does't specify which) and the cost of war to friends and family back home. Springsteen has written several songs detailing the difficulties vets have after returning home ("Born in the U.S.A," and "Shut Out the Light" as examples), but "Gyspy Biker" is the first to focus on the survivors of those who don't make it back. Springsteen's reaction to Robert McNamara's (Lyndon Johnson's Secretary of Defense during the Vietnam War) apology for his part in perpetuating the disastrous quagmire the war became. To put it bluntly, Bruce didn't appreciate it very much. What he created in reaction is a lovely and heartbreaking short prayer that takes place in Washington D.C., contrasting the halls of power with the names of those lost on the Vietnam War Memorial, "the Wall." Well, you've made it this far; I'd love to hear what you think. What did I miss? What did I get right or wrong? And here's to Bruce: Happy birthday and best wishes for many more. As he once said, we'll "need a good companion for this part of the ride."